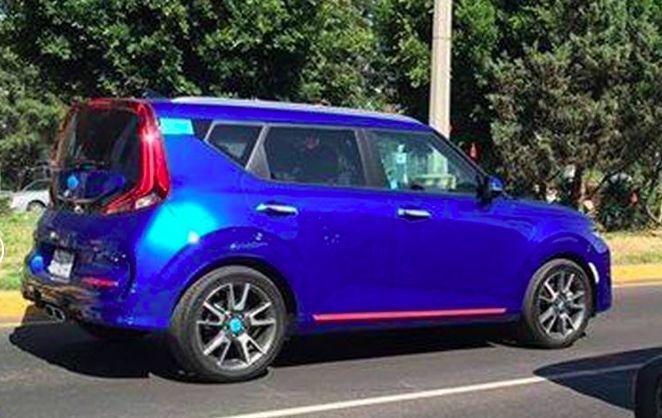 The Internet has spread pictures of the third generation Kia SUV without protective camouflage. The model of the new generation will receive an 'aspirated', turbo-engine and electric version. Publicly, the cross will see the world on November 28 in Los Angeles, but the appearance of the 'Korean' is already declassified - the photo came from Mexico. Soul left himself a 'cubic' shape but got an unusual lighting. The front end is complemented by bunk optics: the top has LED daytime running lights, and under them are blocks of the main headlights. The lanterns at the back turned out to be bigger, plus a luggage door replenished into additional sections along the entire front. The new product will be offered to users in the X-Line version, where there is an 'off-road performance package', plus a 'sports' version of the GT Line. The model was announced with a two-liter petrol "aspirated" and a 1.6-liter turbo engine with electrical installation. Western media write that the new product will share the architecture with the Hyundai Kona SUV. Worldwide, the car is expected to be in 2019. In Europe, Soul will arrive only in the form of an electric car.